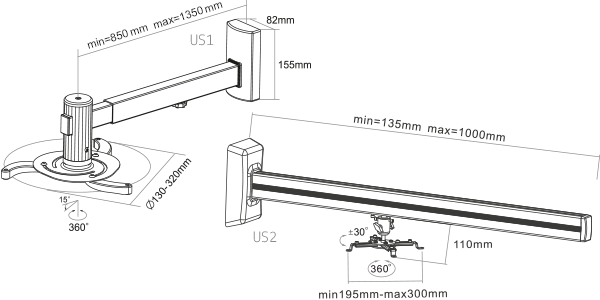 Projectors brackets | 2×3 S.A.
Universal projector ceiling mount kits. Steel construction in silver. 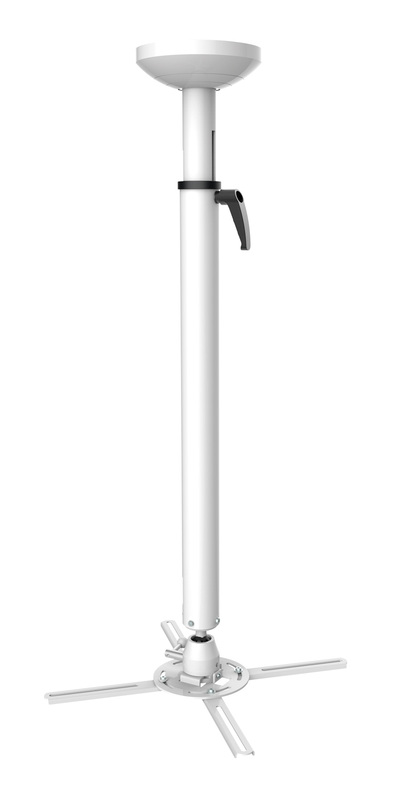 The device has four adjustable arms which will hold any projector weighting up to 10kg. General purpose projector fixture ceiling mounted. Aluminium and steel structure in silver color. Equipped with three adjustable arms allowing to fix a projector of any type, provided its weight does not exceed 10 kg. 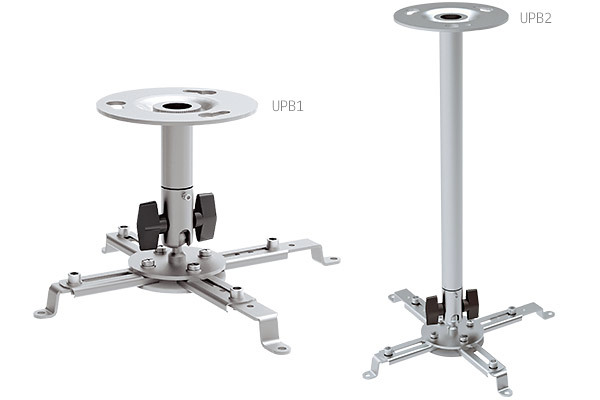 Universal projector ceiling mount kits. Steel structure – white. 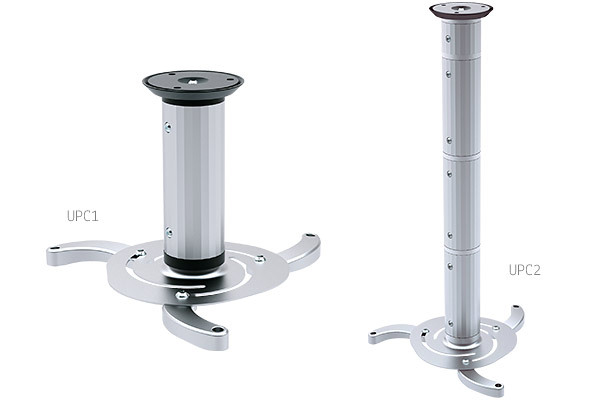 The device has four adjustable arms which will hold any projector weighting up to 15 kg. General purpose projector fixture wall mounted. Structure in black color. Equipped with adjustable arms allowing to fix projector of any type provided its weight does not exceed 10 kg. Wall mounted. Steel structure. 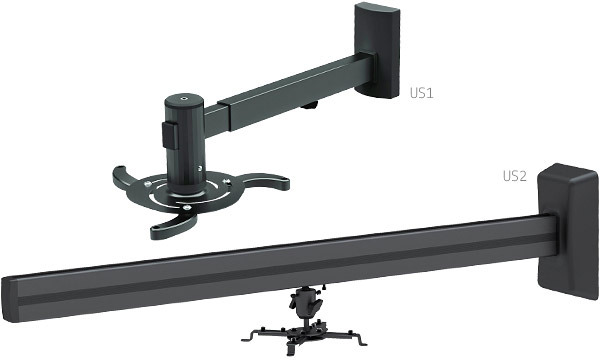 Adjustable arm, enabling to fix a projector, provided its weight does not exceed 9 kg.